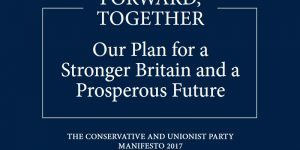 A Restored Contract Between The Generations is part of the Conservative Parties 2017 General Election Manifesto. Sound public finances, built on fiscal credibility and a balanced budget by the middle of the next decade. Homes for all, including a new generation of fixed-term council housing linked to a new Right to Buy. High-quality childcare for working families, supported by thousands of new nursery places a year. No grandparent wants to see their grandchildren worse off than they were, yet that is precisely the fear many older people now have. No son or daughter wants to see their parents poorly cared for or their hard-earned assets whittled away, yet that is the reality for too many old people in care. We must admit that the solidarity that binds generations is under strain in our country. We will restore the contract between the generations, providing older people with security against ill health while ensuring we maintain the promise of opportunity and prosperity for younger generations. That contract includes our National Health Service, which is founded on the principle that those who have should help those who do not. It is a system of solidarity to which we all contribute, not just to help us and our families when we are in need but to protect others in our community when they need help too. This not just expediency: we do it because the support we give each other ties us together. The greatest impact a government can have on future generations is the amount it chooses to borrow to pay for current spending. Borrowing always means spending money you do not have; but government borrowing differs because the repayment falls to others – those who come later, including people not yet born. Conservatives believe in balancing the books and paying down debts – because it is wrong to pass to future generations a bill you cannot or will not pay yourself. People are living longer. This is a good thing, but we should not ignore the consequences. As our society ages, the costs of caring for older generations – pensions, pensioner benefits, health and social care – rise; and these are borne by working people through their taxes. As the relative number of younger people is falling, those costs increase, not just in total, but also for individuals. So if we are to give older people the dignity we owe them and younger people the opportunities they deserve, we face difficult decisions. Where others have failed to lead, we will act. We have already taken immediate action, putting £2 billion into the social care system and allowing councils to raise more money for care themselves from Council Tax. We are now proposing medium and long-term solutions to put elderly care in our country on a strong and stable footing. Creating a sustainable elderly care system means making decisions about how the rising budget devoted to pensioners is spent, so we will target help where it is needed most. So we will look at Winter Fuel Payments, the largest benefit paid to pensioners, in this context. The benefit is paid regardless of need, giving money to wealthier pensioners when working people on lower incomes do not get similar support. So we will means-test Winter Fuel Payments, focusing assistance on the least well-off pensioners, who are most at risk of fuel poverty. The money released will be transferred directly to health and social care, helping to provide dignity and care to the most vulnerable pensioners and reassurance to their families. We will maintain all other pensioner benefits, including free bus passes, eye tests, prescriptions and TV licences, for the duration of this parliament. We have not built enough homes in this country for generations, and buying or renting a home has become increasingly unaffordable. If we do not put this right, we will be unable to extend the promise of a decent home, let alone home ownership, to the millions who deserve it. More homes will not mean poor quality homes. For too long, careless developers, high land costs and poor planning have conspired to produce housing developments that do not enhance the lives of those living there. We have not provided the infrastructure, parks, quality of space and design that turns housing into community and makes communities prosperous and sustainable. The result is felt by many ordinary, working families. Too often, those renting or buying a home on a modest income have to tolerate substandard developments -some only a few years old -and are denied a decent place in which to live, where they can put down roots and raise children. For a country boasting the finest architects and planners in the world, this is unacceptable. We will never achieve the numbers of new houses we require without the active participation of social and municipal housing providers. This must not be done at the expense of high standards, however: councils have been amongst the worst offenders in failing to build sustainable, integrated communities. In some instances, they have built for political gain rather than for social purpose. So we will help councils to build, but only those councils who will build high-quality, sustainable and integrated communities. We will enter into new Council Housing Deals with ambitious, pro-development, local authorities to help them build more social housing. We will work with them to improve their capability and capacity to develop more good homes, as well as providing them with significant low-cost capital funding. In doing so, we will build new fixed-term social houses, which will be sold privately after ten to fifteen years with an automatic Right to Buy for tenants, the proceeds of which will be recycled into further homes. We will reform Compulsory Purchase Orders to make them easier and less expensive for councils to use and to make it easier to determine the true market value of sites. Britain should be the best country in the world for children. We want to reduce levels of child poverty, and have high ambitions for the quality of childcare, children’s health and support for vulnerable children for whom the state acts as a parent. We know high-quality childcare is important not just to working parents but even more so to a child’s development and happiness. That is why a Conservative government will introduce, this year, thirty hours of free childcare for three and four-year-olds for working parents who find it difficult to manage the costs of childcare. We will go further. 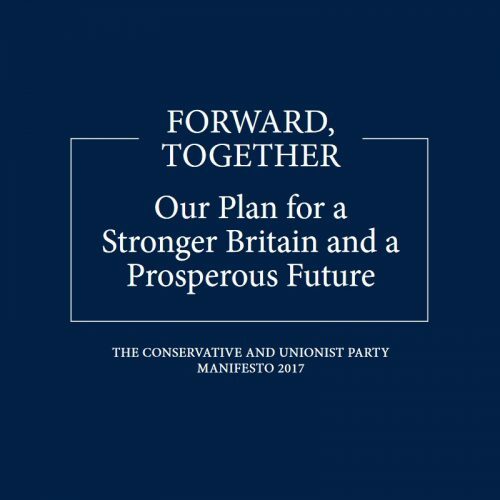 The next Conservative government will assess what more is needed, including looking at the best ways that childcare is provided elsewhere in Europe and the world. As a sign of our commitment, we will immediately institute a capital fund to help primary schools develop nurseries where they currently do not have the facilities to provide one. We will introduce a presumption that all new primary schools should include a nursery. And we will continue to support maintained nurseries and allow them to take on academy freedoms, supporting them to grow independently or as part of a multi-academy trust. We have made significant progress in helping vulnerable children and families over the past seven years. Our investments in the social work profession and in successful, innovative programmes have given tens of thousands of vulnerable families the co-ordinated support they need.